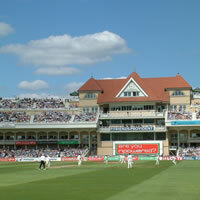 Join us for a fantastic line-up of International Cricket Hospitality at Trent Bridge Cricket Ground. Trent Bridge will host an exciting One-Day International against Pakistan on Friday 17th May 2019, shortly followed by the ICC Cricket World Cup. Windies will be kicking off the action of this exhilarating tournament as they take on Pakistan at Trent Bridge on Friday 31st May 2019. CEC is delighted to offer several facilities at Trent Bridge for each fixture offering some of the finest cricket hospitality available. Treat your guests to world-class cricket action and an electric atmosphere at Trent Bridge.